The world’s smallest (and likely smartest) stroller, aptly named the Pockit Stroller, is finally on its way to Australia! And of course we know where you need to go to be among the first Aussie parents to be pushing this clever ride! You all oohed and aahed when we first told you about the brilliant GB Pockit Stroller, a stroller that quite literally folds down to a size you can carry in your nappy bag. Yes, your nappy bag. Suitable for children aged from six months up to 17 kilograms, this stroller is not only a cinch to fold and release, it’s a pleasure to manoeuvre thanks to its swivel wheels and lightweight build, perfect for getting around the shopping centre or airport. And now it’s coming to Babies R Us. 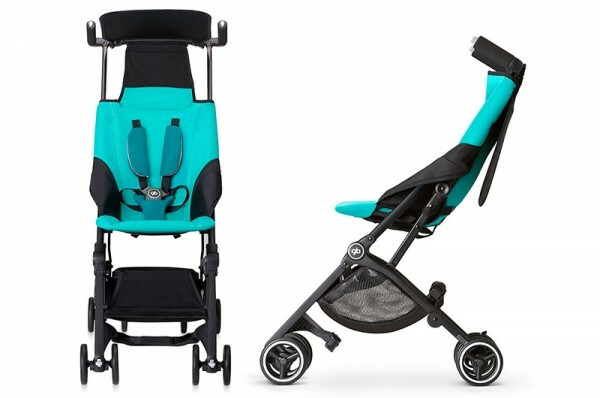 The GB Pockit Stroller is available in four gorgeous colours, folks can choose from a spectacular Capri Blue, Monument Black, Seaport Blue and Posh Pink. Priced $399.99, you can pre-order your favourite colour at Babies R Us right now for May 2016 delivery.